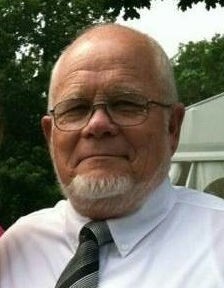 Obituary for Paul Davison | Stone Funeral Home, Inc.
Never one to leave a beaver pond unexplored, Paul went to venture to see a new one on February 5, 2019. His love of trapping and being outdoors was his passion. He was a member of the Fur Harvester's U.P. Trapper's Association since 1970 and served in many roles during that time. Paul was never more proud than when spending time watching his grandchildren grown and start families of their own. He had 10 grandchildren, Daniel (Kayla) Warren, Holly Cole, Kayla (Bill Songer) Cole, Mallory Carey, Whittney (Ryan) Ager, Erin Davison, Lauren (Kris) Dey, Sunny (Jeremy Terry) Cole, Zachary (Tricia) Davison, Tracey Carey and Matthew (Sara) Davison. He also shared 16 great-grandchildren with Mary. He is very loved and will be greatly missed! ... off to meet up with Hank for a new adventure... Happy Trapping Paul, 'til we meet again.